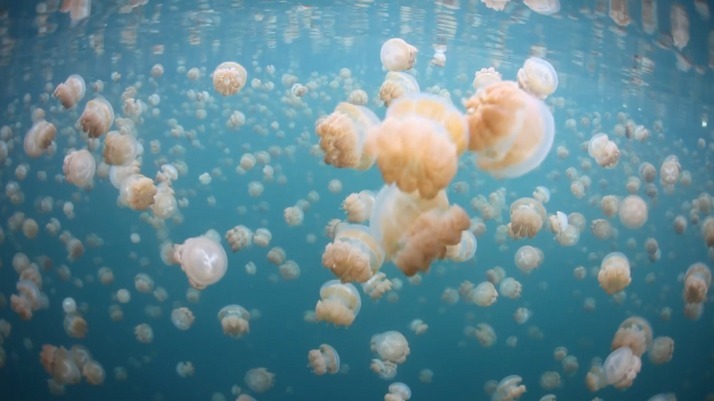 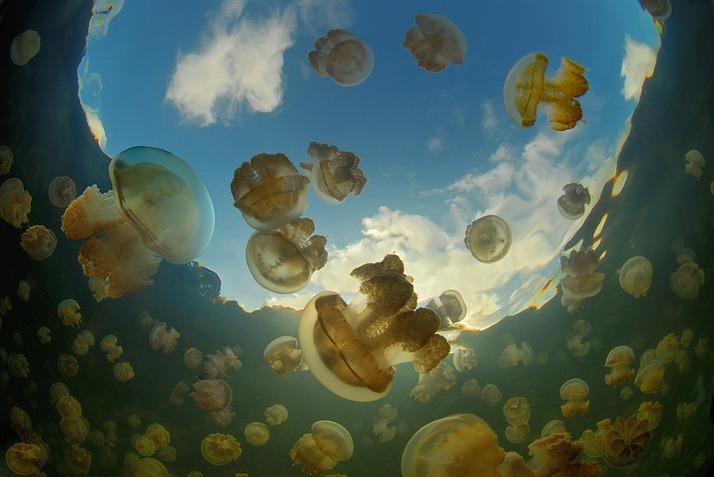 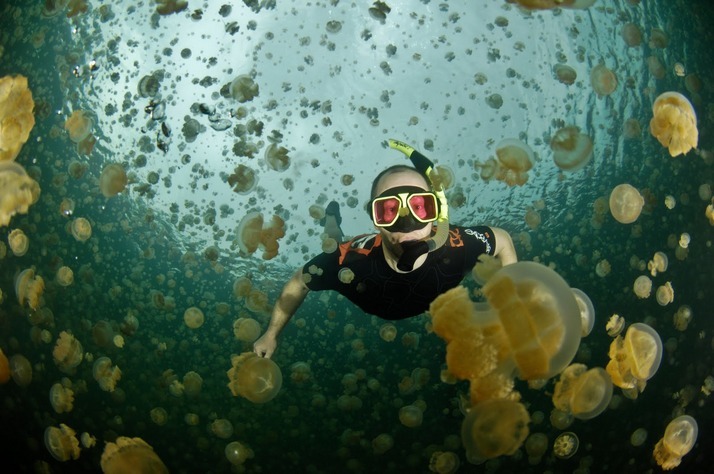 Jellyfish Lake is a marine lake located on Eil Malk island in Palau. 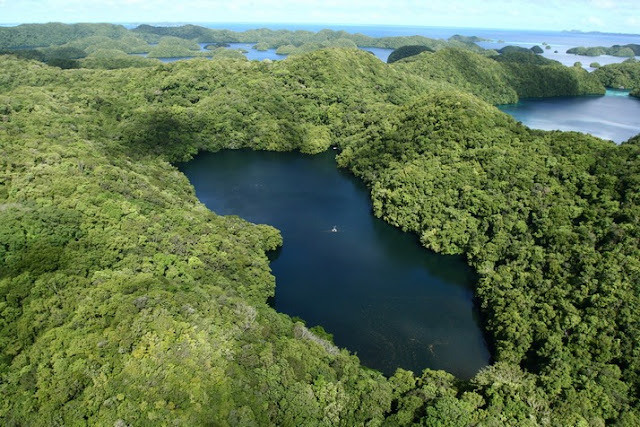 Eil Malk is part of the Rock Islands, a group of small, rocky, mostly uninhabited islands in Palau’s Southern Lagoon, between Koror and Peleliu. It is notable for the millions of golden jellyfish which migrate horizontally across the lake daily. 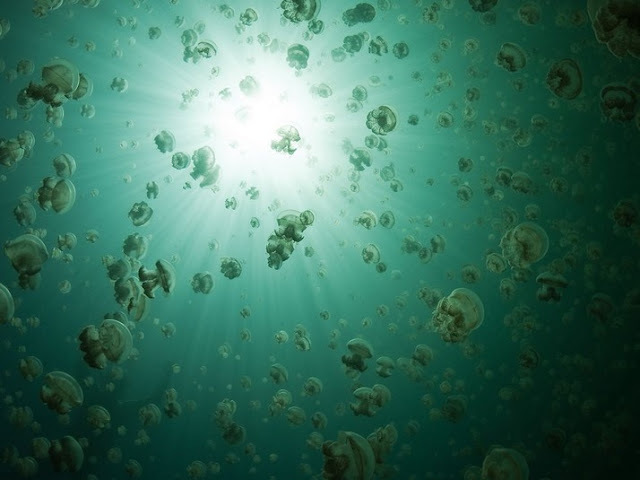 Jellyfish Lake is connected to the ocean through fissures and tunnels in the limestone of ancient Miocene reef. 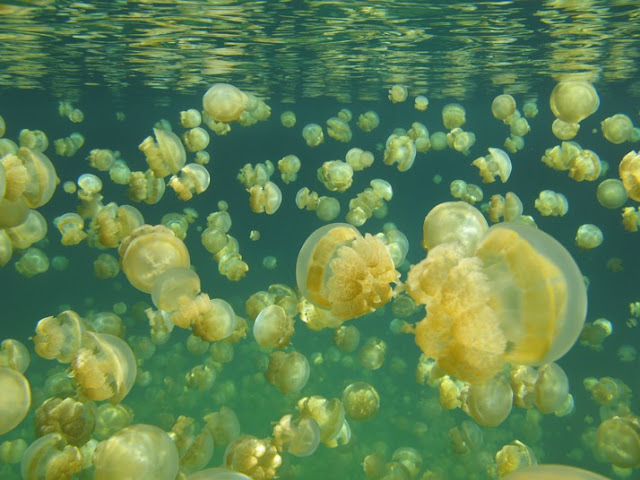 However the lake is sufficiently isolated and the conditions are different enough that the diversity of species in the lake is greatly reduced from the nearby lagoon. 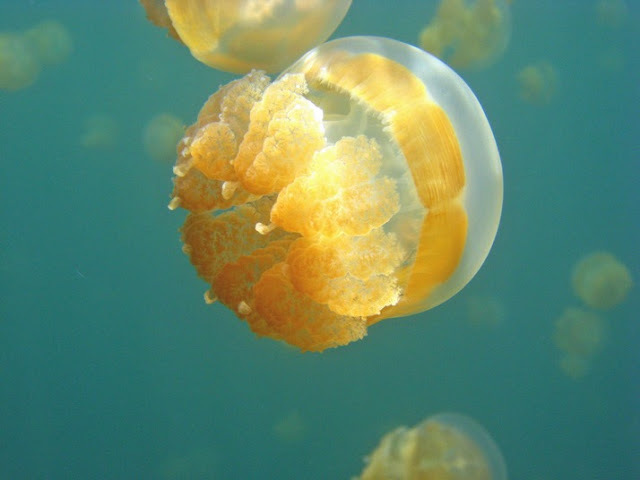 The golden jellyfish, Mastigias cf. 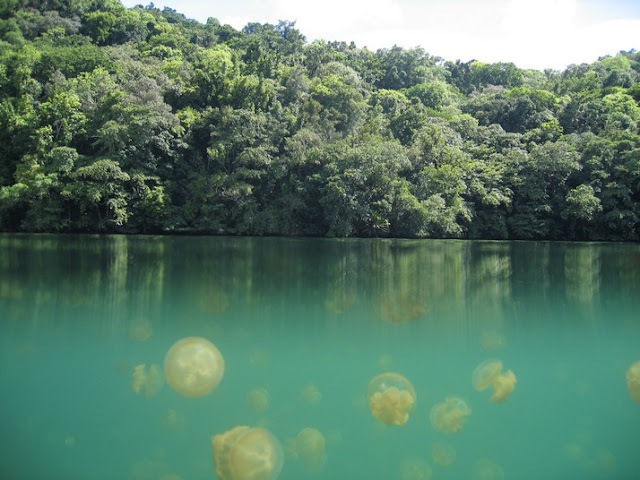 papua etpisoni, and possibly other species in the lake have evolved to be substantially different from their close relatives living in the nearby lagoons.